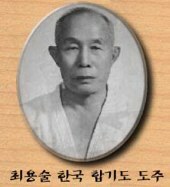 Welcome to the Korea Hapkido Federation Web Site. On the behalf of our President Oh Se Lim, We would like to Welcome you to our English Site. This site has been created do to the overwhelming desire for more information on The Korea Hapkido Federation. Due to the overwhelming mail that we have received in Seoul, South Korea, We have appointed KHF representatives in other countries to included the United States. The current US representative is Dr. Richard Hackworth, assisted by Master Greg Lee. They have formed The National Hapkido Association, the National Governing Body for Hapkido in the United States. Our Excutive Director ( Lee, Jae Wan), Vice President (Kim, Young Jin) and our Technical Director ( Song, Young Ki) of the KHF, has worked diligently to inspire the growth of the National Hapkido Association. At this time we would like to turn your attention to our directory above, where you will find the information so many of you have requested.